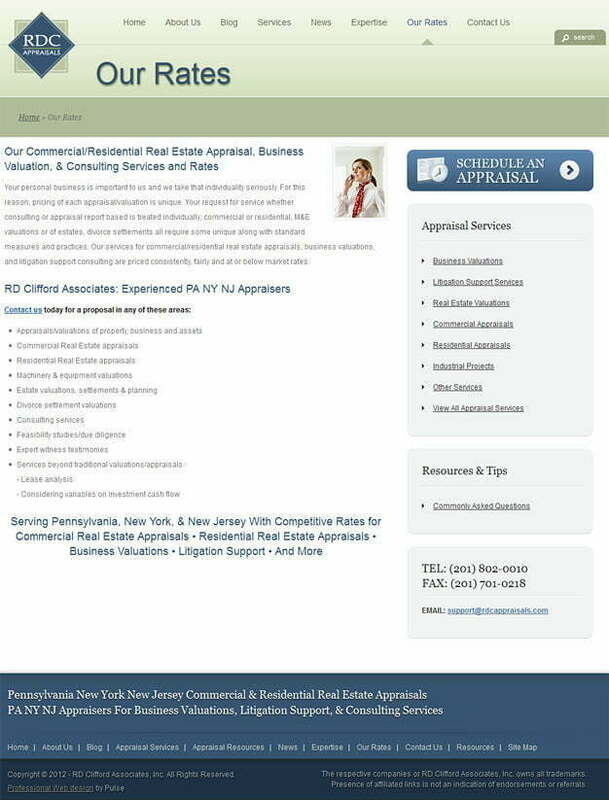 RDC Appraisals is a professional, well experienced appraisal company that has been an industry-leader since 1990. RDC provides their customers with services that exceed the usual appraisals and evaluations. The company’s goal is to always give excellent quality service at viable, cost-effective prices for such services as research, appraisals, valuations and consulting services. RDC Appraisals is deeply committed to giving quick, correct, high quality results through using appropriate innovative technology to meet, and even exceed, the expectations and needs of their clients. Their clients speak highly about them, as do government agencies, courts, financial institutions, and law firms. The company is universally admired for its courteous manner of operating and for its supreme ethical standards and professionalism. They stand head and shoulders above their competitors. A few areas that they expertly work in are Appraisals/Evaluations of Property, Business Assets, Commercial Real Estate Evaluations, Residential Real Estate Evaluations, and Divorce Settlement Valuations. RDC’s customers can be assured of timely, correct appraisals that will go beyond the normal industry standards, and at very affordable rates. Pulse was contracted by RDC to design and build a professional appearing website that clearly explained to customers the varied services offered by the company. Pulse built in a user-friendly process for clients to use to contact RDC and to schedule an appraisal. A clear and flowing presentation about company services, rates, tips, resources, and company information was designed and achieved through using PHP and WordPress platforms. This website gives a broad view of the company’s global reach and all information is presented in a progressive way so the customers gain a complete understanding of the professional appraisal services and other services offered by RDC. Navigation was made to be easily used by any customers. This website covers everything a customer may need to know regarding appraisals and evaluations, so they can make wise decisions about which services they may require from RDC Appraisals. If you live in regions of New Jersey, New York or Pennsylvania and require appraisal or evaluation services, RDC Appraisals would be the best company to engage. Follow their easy to use contact links and set up an appointment to meet them and discuss your needs. The company representatives are eager to help you resolve any problems you may be having, as they are well trained and very experienced in this field.